When it comes to anti-ageing ingredients, the research is clear: Antioxidants are essential, and the more you apply to skin, the better! Just like your diet needs a mix of healthy beneficial nutrients, so does your skin. Skin is the largest organ of your body, so nourishing its surface with beneficial ingredients, like antioxidants, is important. Antioxidants not only help combat the elements responsible for the visible signs of ageing, but also can calm skin, help reveal a more youthful appearance, and revitalise dull-looking skin. 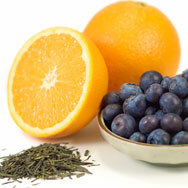 We’re are often asked what are the best antioxidants for skin. In reality, there are dozens of phenomenally effective antioxidants, and we use them with gusto in Paula’s Choice Skincare products. Despite the seemingly endless array of good antioxidants, there are a few that really stand out. Each has an outstanding performance record when it comes to taking the best care of your skin—and knowing which ones to look for can make shopping for great skincare a lot easier! Vitamin E (often listed as tocopherol or tocotrienols) is one of the most well-known antioxidants. This fat-soluble vitamin is available in both natural and synthetic forms. Research shows that both forms provide significant antioxidant benefits to skin, but the natural forms are more potent and last longer in skin than their synthetic counterparts. Vitamin E works in several ways to protect and defend skin from outside elements that can have a profound negative impact on skin. Vitamin E is often found in sunscreens because of its supporting role in helping defend skin from the stress caused by UV light exposure. Vitamin E also works in powerful synergy with vitamin C, so a serum or anti-ageing product that contains both vitamin C and vitamin E can be doubly beneficial. Look for Vitamin E in serums and moisturisers. Vitamin C (listed as ascorbic acid, tetrahexyldecyl ascorbate, and various other names) is a potent antioxidant that’s particularly effective in diminishing the look of fine lines, wrinkles, dullness, and uneven skin tone. This well-researched water-soluble vitamin is considered an anti-ageing superstar for all skin types. When applied topically, vitamin C has been proven to preserve skin’s resiliency so it takes on a firmer feeling and smoother appearance. Research shows that vitamin C also helps improve an uneven skin tone and brighten dull skin so it’s visibly more radiant, just like younger skin. Like most antioxidants, vitamin C also can calm and help hydrate skin so it’s better able to withstand the rigors of daily life and the environment’s impact on how skin looks and feels. Vitamin C in concentrations from 0.5% to 20% has shown impressive efficacy. Vitamin C is found in all sorts of products, from lip balms to eye creams, but you’ll get the most out of this antioxidant if it’s in targeted solution products and skin-brightening products. Resveratrol is a potent polyphenolic antioxidant that’s found in red grapes, red wine, nuts, and fruits such as blueberries and cranberries. It’s relatively new on the market, but emerging research is showing that resveratrol is another antioxidant superhero for your skin. Applied topically, resveratrol helps protect skin’s surface, interrupts and helps rebuff negative environmental influences, and brightens a tired-looking complexion. It also has significant skin-calming properties that may help minimise the look of redness. Look for resveratrol in moisturisers and eye creams. Retinol (the technical term for vitamin A) has a long-established reputation as one of the most extraordinary ingredients for skin. It’s both a skin-restoring ingredient and an antioxidant, and provides multiple benefits for almost every skincare concern imaginable, from uneven skin tone, bumps, enlarged pores, rough surface texture, fine lines and wrinkles, and improving skin luminosity. Retinol has been shown to improve skin’s resilience, which contributes to its overall feeling of firmness and more youthful, healthy appearance. Due to its anti-ageing ability, retinol is a key ingredient to look for if you want to minimise the appearance of fine lines, wrinkles, dullness, and uneven skin tone. As an added benefit, retinol also has been shown to unclog congested pores and soften the appearance of the red areas that many people perceive as surface imperfections. Retinol is found in all types of products, from moisturisers to serums to body treatments and many others. Green tea is a potent antioxidant when applied topically. A significant amount of research has established that tea—green, black, or white—has many intriguing anti-ageing benefits. The key compound in green tea that provides its antioxidant kick is epigallocatechin-3 gallate (EGCG). Current research indicates that EGCG extract, applied topically, can help defend skin’s surface from the environmental factors that have the most pronounced negative effects on skin. Green tea also has a distinct calming effect, making it a great ingredient to visibly soothe red areas. Look for green tea in moisturisers. When it comes to your skin and antioxidants, remember the old adage: "There’s strength in numbers." When the top-notch antioxidants detailed above are combined to work together, and reinforced with daily use of sunscreen and other potent antioxidants and skin-beneficial ingredients, the visible results can be remarkable! One thing to keep in mind is that antioxidants break down when exposed to light and air, so it’s important to make sure the products you buy are packaged in opaque and airtight or air-restrictive containers. That means no jar packaging, otherwise these vital, but unstable, ingredients will begin to lose their effectiveness once you open the container.